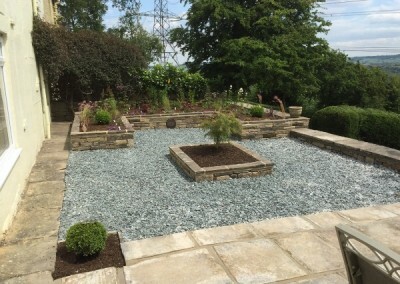 Garden Design Brief: To create a level usable York stone patio and lawn with a utility area. 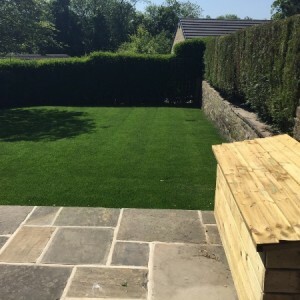 See how we transformed this garden into a child friendly outdoor space. 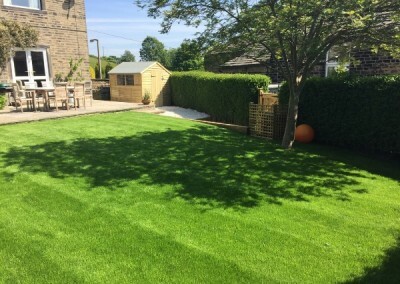 We created a large York stone patio, perfect for entertaining, while the new level lawn offers a perfect place for children to play. 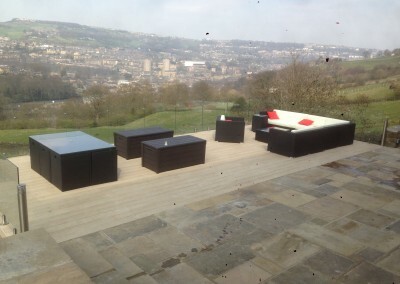 The bin-store is discreet and railway sleeper steps offer perfect access to both the house and the shed. 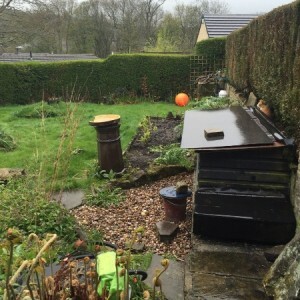 To find out how Eden Gardening Services can transform your garden. Call Stuart on 07817 057640 or via our enquiry form.